Similar to these preposterous ideas from the past, some supporters of evolution are currently seeking to portray the admixture with Neanderthals as something undesirable. This is of course a grave error, and the scientific evidence shows that Neanderthals were fully-fledged human beings. First and foremost, it is genetically impossible to describe Neanderthals as a separate species. The Neanderthal genome project has revealed that, like us, they had 23 pairs of chromosomes. 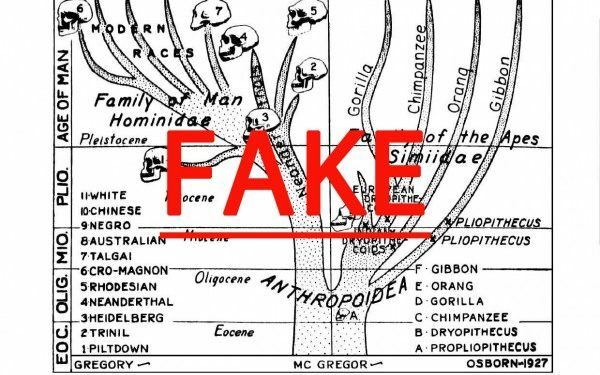 What we see in evolutionist sources, however, is the bafflement on the part of Darwinists in the face of this finding that we share common genes; Darwinists have long described the Neanderthals as a separate species. The discovery that we shared the same disease genes of course means that we are disposed to the same diseases. To say that these genes have passed down to us from the Neanderthals is a natural hereditary outcome; these genes are not specific to the Neanderthals, but are quite widespread among all humans. The way that evolutionists classify different human races as “advanced” or “primitive” is devoid of any genetic or biological foundation. Indeed, archeological findings have shown that Neanderthals possessed a highly social civilization. It is abundantly obvious that they were no different to present-day human races. The Neanderthals were human beings, just like us, who even suffered the same diseases, enjoyed civilized lives and in the passage of time, ultimately vanished from the face of the Earth.